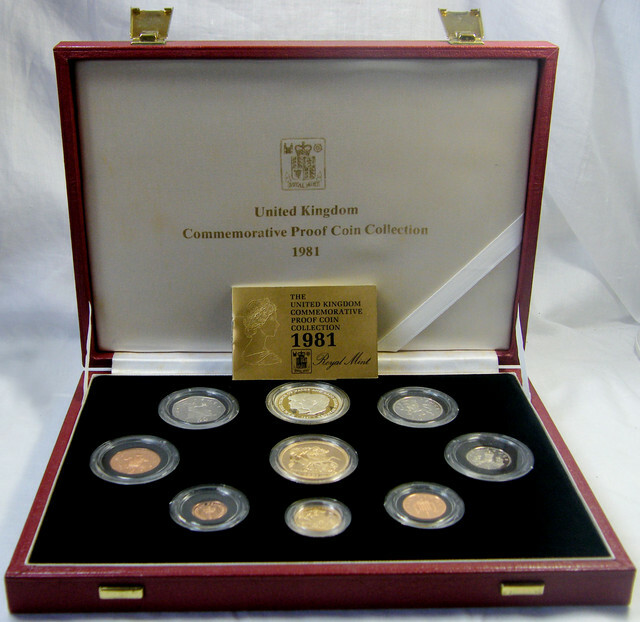 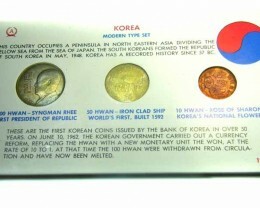 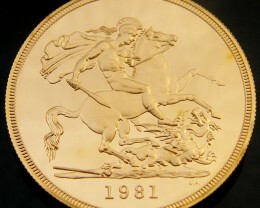 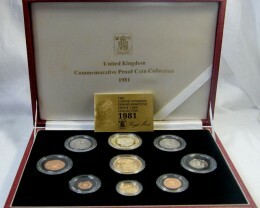 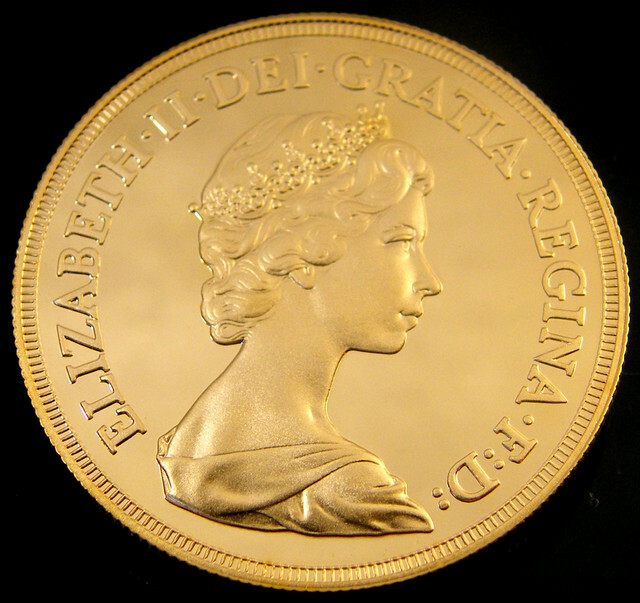 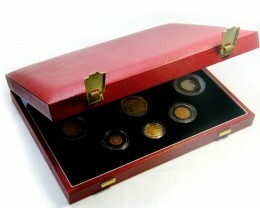 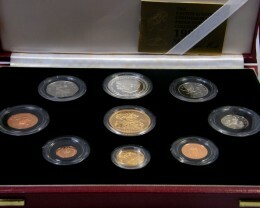 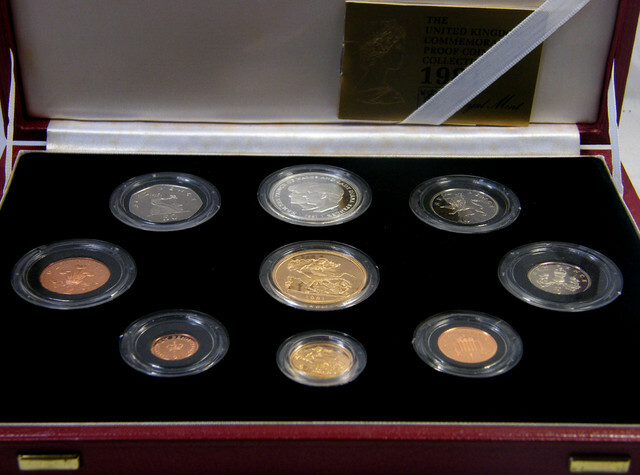 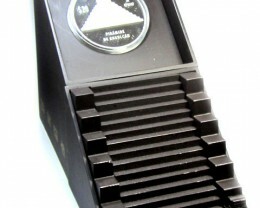 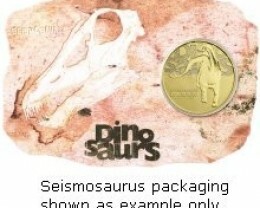 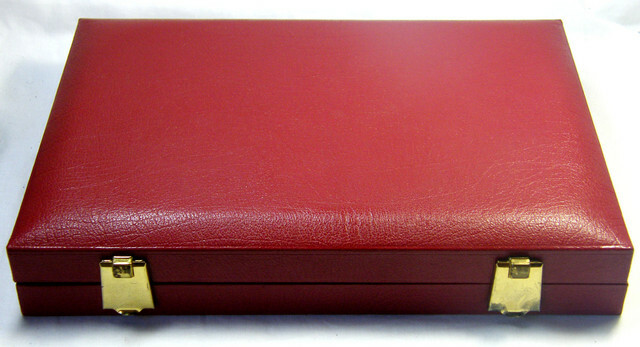 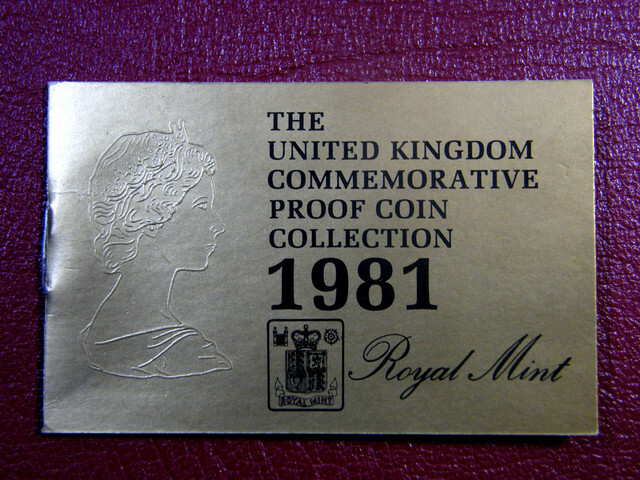 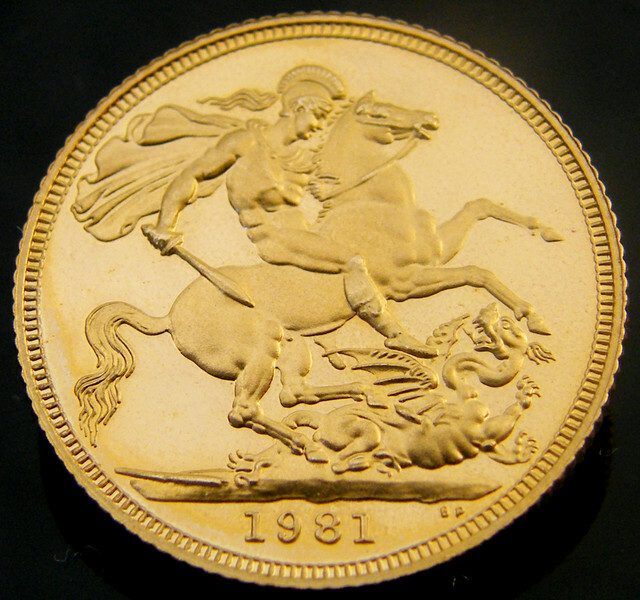 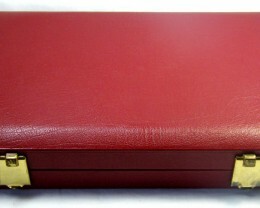 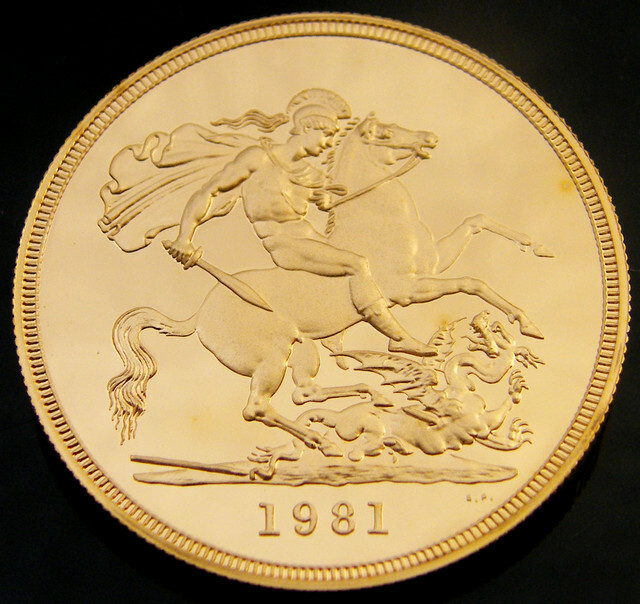 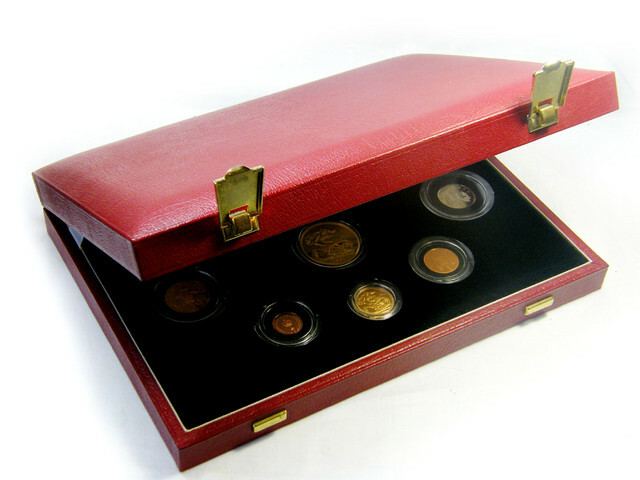 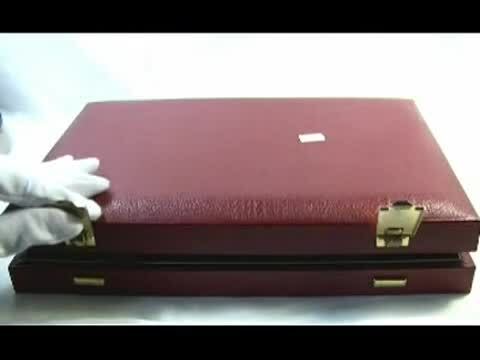 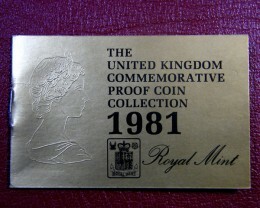 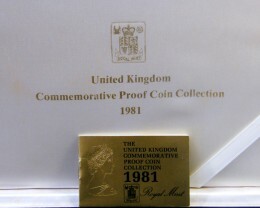 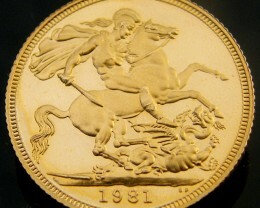 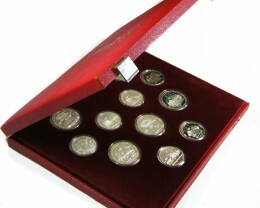 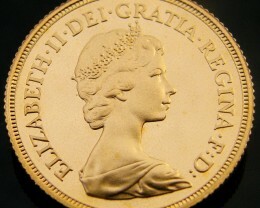 1981 Gold Sovereign Proof Set In 1981, the Royal Mint issued an unusual gold coin proof set. 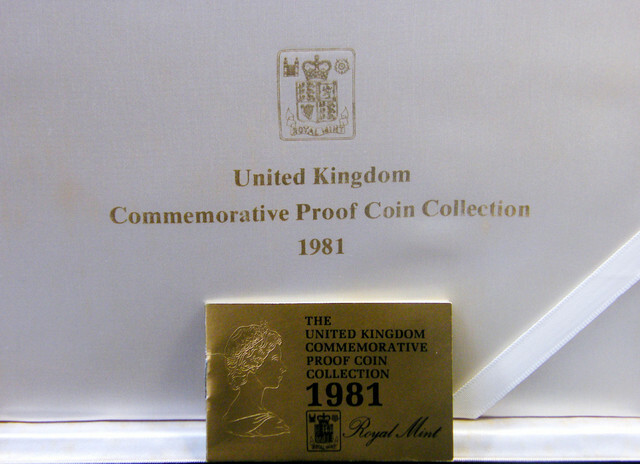 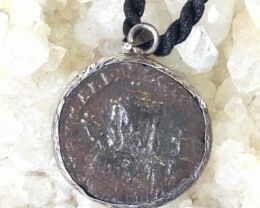 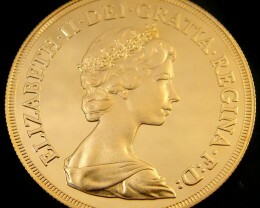 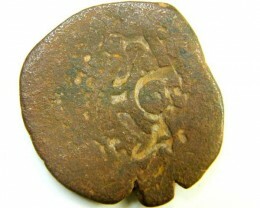 It contained a gold five pound coins, gold sovereigns, silver proof crown commemorating the Royal Wedding of Prince Charles to Princess Diana, and six minor coins. 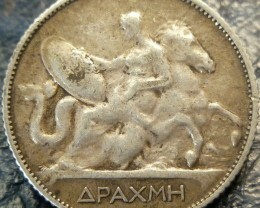 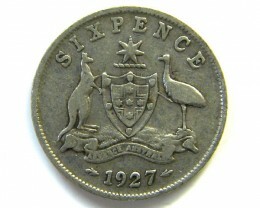 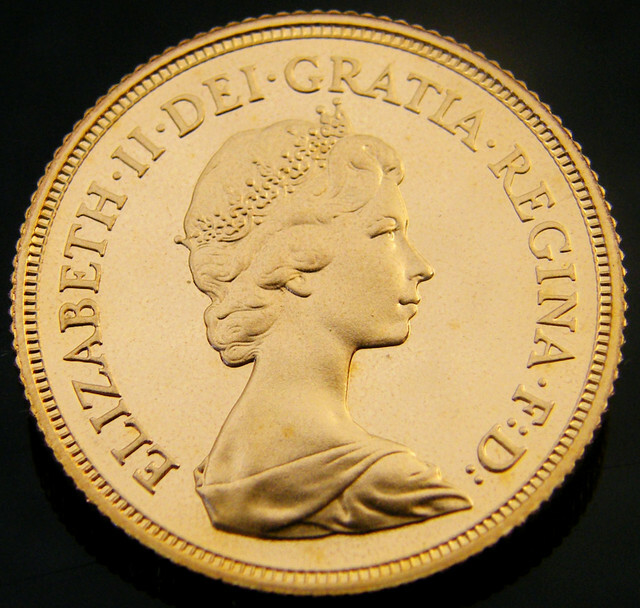 The previous occasion on which a British proof set was issued with a mixture of gold and other coins was in 1911 for the Coronation of George V.
The Nine Coins The nine coins we refer to are the five pounds, gold sovereign, silver proof crown of 25 pence, and six base metal coins, 50 pence, 10 pence, 5 pence, 2 pence, penny, and halfpenny.